Yachting Boating World: Take look at the most beautiful boats, newest launches, and quirky vessels on boat show at Southampton. Friday, 11 September 2015, Europe’s largest festival of boating sails into Southampton, marking the start of the 47th Southampton Boat Show. 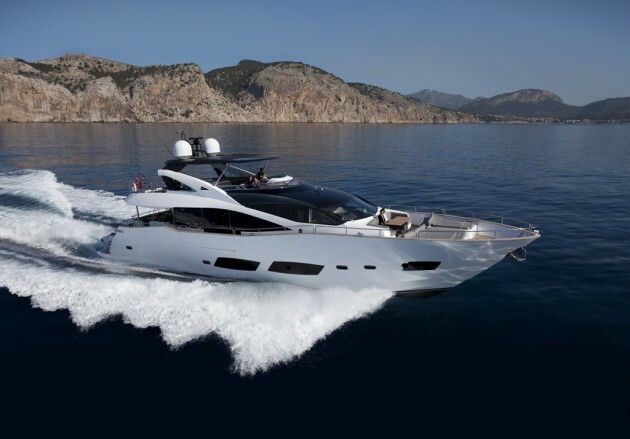 The show’s marina will showcase yachts and boats from global superstars of boat manufacturing. This year’s show will see over 100 boat debuts plus fabulous new attractions for 2015, for a truly spectacular nautical experience. Organisers have partnered with Sunseeker Charters to take the Show’s Platinum Experience to the next level of luxury, which includes round-the-clock VIP hospitality in the customised Sunseeker Platinum Lounge and more importantly, a one hour ride onboard a Sunseeker Predator 56 delivering the iconic Sunseeker ‘wind in the hair’ performance. Those interested in marine life can visit the Show’s very own Aquarium, developed in association with the University of Southampton. The aquarium is full of tanks and rock pools, filled with creatures from the local waters, and a dark-room, showcasing the fascinating world of corals and anemones. This year’s Show promises to be the most ‘on-the-water’ ever, with even the youngest visitors able to get involved. Alongside the child friendly Get Afloat!, targeted at 8-16 year olds, the Adventure River Canoe Ride will allow infants to climb aboard their own canoe and paddle down the feature’s winding river. Plus on the water visitors can climb onboard and explore the Show’s new feature boats. This includes the tall ship Earl of Pembroke, straight from the completion of its full restoration and refit. The Show plays tribute to this unique restoration project which has seen contributions from historic specialists, T. Nielsen & Co, along with cutting-edge marine technician, Landau UK. Also the Show will welcome the J109 yacht, Red Arrow, and its crew. Owned and operated by the Royal Air Force Sailing Association (RAFSA), this 35ft yacht has seen serving members of the RAF compete in world-famous sailing events, including the Warsash Series and JP Morgan Round the Island Race. For the first time Red Arrows will be performing their show-stopping aerobatic display on Saturday 12 September at the Southampton Boat Show. A show not to be missed! And for those who’ve been dreaming of owning their own boat but haven’t quite taken the plunge yet, there’s even a little beauty up for grabs, thanks to the very generous people at Practical Boat Owner. Visit berth M612 and take a look at PBO Project Boat. The competition to win Hantu Biru will launch at the show and will go on until the London Boat Show, with the winner announced soon after.